Yes, I saw that today, the Anchorage Daily News ran a piece about vetting Alaskan vanity plates. No real surprises, though I was pleased to see that there is a variety of people who review submissions. Always good to see Alaskan plates in the press. 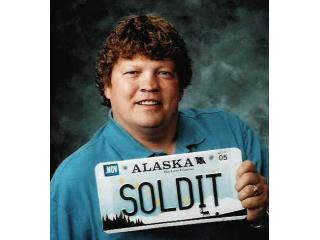 This is Charles Blalock, an Alaskan real estate agent. 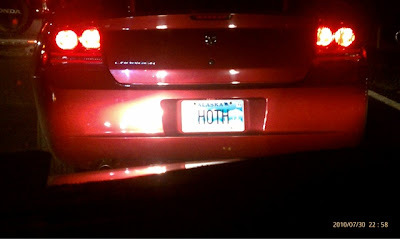 Thinkgeek has posted what they believe to be the best Alaskan license plate ever. I did get a chuckle out of it when it clicked. For those of you not acquainted with Star Wars lore: Hoth (Wikipedia). Come along now - my joints are freezing up.